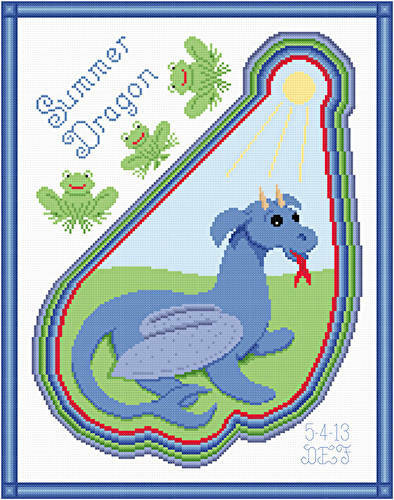 Summer Dragon cross stitch pattern... This dragon looks hot as the summer sun shines down on it. Frogs appear below the title. Colors may be changed. Whole and back stitches.